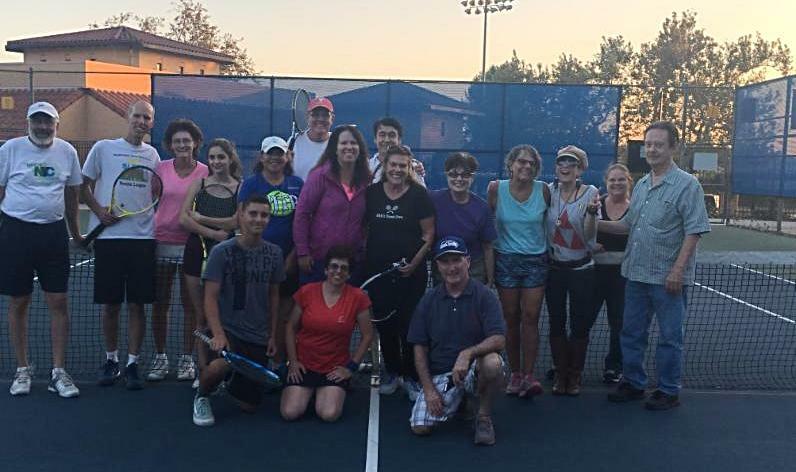 Nikki creates many events for your tennis enjoyment so be sure to check in here as this page will be updated as new events are added and dates are finalized. 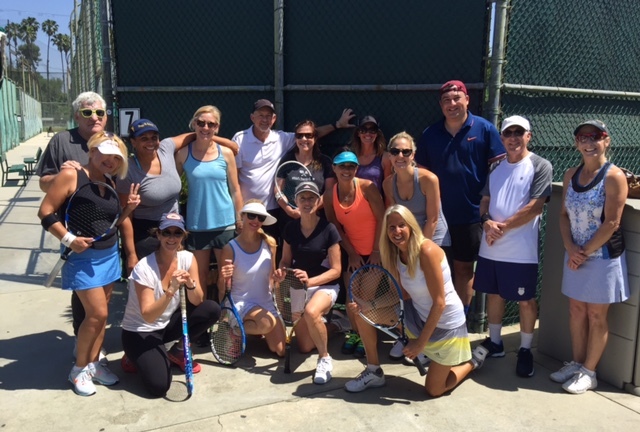 20th Annual Mixed Up Doubles Round Robin, Raffle and Luncheon! Ladies and Gentlemen levels 2.5-4.0, Come work on your doubles skills in this fun format in which you rotate partners every 20-25 minutes. How great is that!! You aren’t stuck with a partner and they aren’t stuck with you for more than 25 minutes!! You get to work on your communication skills and strategies with several different people. Afterwards games are tallied and several trophies are given out. Some raffle prizes are given out and then we go to lunch at a yummy restaurant. Cost for tournament is $30. Lunch price TBD. RSVP is required as spaces are limited! Super fun HEAD/Penn Demo day in which you will get to try out all their new product. Their new Radical is set to launch to May 18th so come check it out before it is on the market!! Junior Touring Pros 4:00-7:00 p.m. Junior Clinic and Stars 4:00-5:30 p.m. This is a family fun tournament for all divisions from 3 year olds all the way to advanced adults. Adults and Junior Touring Pros will do a doubles round robin format. RSVP with your partner’s name. If you don’t have one I will find you one! Winning teams get trophies. Junior clinic, Stars and Peanuts divisions will be a class format in which all participants will get medals. All participants will get this years limited edition T-shirt. Does anyone have a guess what color the shirt will be? After 29 years, it is getting hard not to repeat colors! Please RSVP ASAP so I can make sure to get your size!! All participants/family should bring a potluck item. That time of year again for the FAMILY fun tournament!! All levels of play are available from tots all the way to advanced adults. I will be ordering t-shirts this coming week so please let me know your size. The week of the tournament please,let me know what you will be bringing for the potluck so we don’t end up with 50 boxes of cookies. Parents of juniors, I recommend cheese pizza or chicken nuggets type of food. If anyone has a folding table, I can use a couple also. Please invite your family to come watch and join us for the potluck. Little kids eat at 5:30-6:00 and adults/junior touring pros eat around 6:30pm. Thanks everyone for a fun summer!! CSL Youth “Funraiser” Tennis Tournament/Dinner!! Come join Barbara and Nikki for a fun afternoon of tennis and a delicious dinner donated by Sherman Way Market Place. All money will go to Center’s Spiritual Living Youth Church Teen fund to help send teens to winter camp. There will be a fun raffle with great items. Come to this super fun event. Please bring a picnic blanket or chairs, dinner and drinks will be provided. Format: TBD but lots of tennis will be played and a great raffle with lots of amazing items to bid on . Dinner: Provided by Sherman Way Market Place. WHY: Because last year we had such a blast and want to do it again!! Raise money to help send teens to camp. Barbara Tscherne and I have been members of CSL Granada Hills for many years now. The love and support we get from there is profound. We want to give back to our community and give these kids the opportunity to go to a wonderful supportive camp. Thank you for joining us. Please RSVP no later than October 1st!! Mens doubles 3.0, 3.5 and a singles combined 3.0-3.5. Ladies and Gentlemen levels 2.5-4.0, Come work on your doubles skills in this fun format in which you rotate partners every 20-25 minutes. How great is that!! You aren’t stuck with a partner and they aren’t stuck with you for more than 25 minutes!! You get to work on your communication skills and strategies with several different people. Afterwards games are tallied and several trophies are given out. Cost for tournament is $35. No partners are necessary as we rotate partners each round. You are welcome to start with your buddy but will say ciao after that. Levels are 2.5-4.0. I round up some fun raffle prizes to give away to the participants. In the past we have had yoga lessons, restaurants and lots of tennis stuff. After the tournament those who wish to join, we go to a local restaurant and feast together. Too much turkey !!! Run me around class ! !